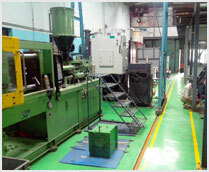 Operating from Pune, India, Argee Plastics provides an injection moulding and component manufacturing service to a broad range of customers. Our commitment to provide parts with low rejections stems from the fact that great attention is paid to products especially during the development stage itself. It is our firm belief that most of the regular problems can be identified and resolved during this stage itself to ensure that the product has a trouble free life during regular production.